Many will remember that Mark set up a television comment and production business in Vermont a few years ago, with the controversial entrepreneur, Cary Katz. Katz made a substantial fortune lending money to university students, and collecting in, according to the admittedly suspect New York State attorney general, an allegedly predatory manner. He loaned out a total of US$19 billion, and did well in that business. He is also a professional poker player and pioneer in television poker. Katz is a television impresario and was the founder of CRTV — Conservative Review television — and the television network Poker Central. He is a major shareholder in both, although CRTV last year merged with Glenn Beck's TV outlet, The Blaze. Notwithstanding his status as a large shareholder, Katz sued CRTV last year, for reasons I'll get to in a moment. Katz is in that numerous category of wealthy Americans who is notoriously very litigious. CRTV-Blaze is a conservative television and podcasting operation that includes among its better known American personalities Glenn Beck, Mark Levin, and for a time, Michelle Malkin (she quit and went elsewhere). 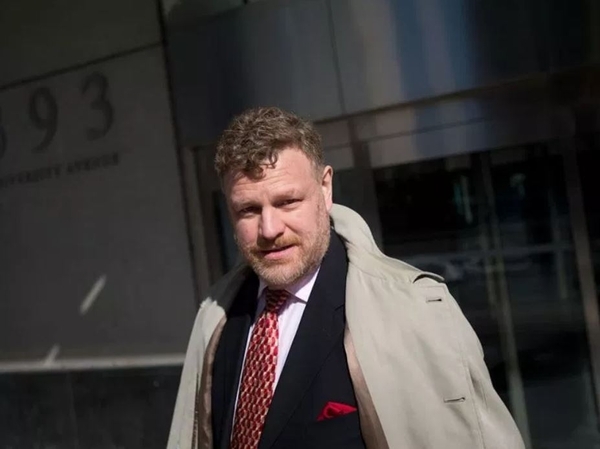 Mark Steyn entered the picture in the early days of CRTV in 2016 when Katz, after reportedly prolonged negotiation, arranged for Mark to host and jointly produce a mixed comment and cultural program near Mark's home in New Hampshire. People were engaged and the necessary equipment purchased and the arrangement was launched. But it shortly dissolved in shambles as Katz purported to fire Mark and shut down the operations and sue Mark for US$10 million claiming breach of contract. Mark is insusceptible to intimidation and no stranger to fierce litigation, and counter-sued Katz for breach of contract, won, and was awarded US$4 million. Even though the case was heard in Nevada — long one of several American states where you knew there was an economic recession when the Mafia was laying off judges — a happy result ensued. Mark filed a motion to intervene in this farce of a lawsuit between Katz and CRTV — which Katz laughably alleged to the court was intended to "gratify private spite, promote public scandal, circulate libelous statements, or release trade secrets" — and one day later, Katz and CRTV "settled." The Nevada judge, Susan Johnson, sent Katz packing, rejecting his argument about Mark's intervention and said she found this latest evasive and diversionary move of Katz to be: "a sham, and in essence ... a fraudulent conveyance." Mark's public comment on Judge Johnson's finding was: "Preach it, sister." In Katz's return to the American Arbitration Association for another go at breach of contract, he cited a regular "Songs of the Week" feature that Mark runs on his own, very popular website, claiming that Mark's selection of the three songs "Oh Happy Day," "We Are The Champions," and "Same Old Song and Dance" were all defamatory of Katz, who was not identified or mentioned in the references to these songs. It is at this point that I proudly step into a cameo role in Katz's suit against Mark, though not a solo one. I am joined in the dock by two other gentlemen who have had the honour of introducing Mark at public functions. I shall not name them as they have not been identified in public filings, but one is a distinguished libertarian and the other is a talented African-American comedian and radio producer, who only mentioned Katz at all in an allusion to a nameless person. My transgression occurred while introducing Mark with the award as the first recipient of the George Jonas Freedom Award given by the Justice Centre for Constitutional Freedoms. Mark earned the award as an elegant and fearless writer.